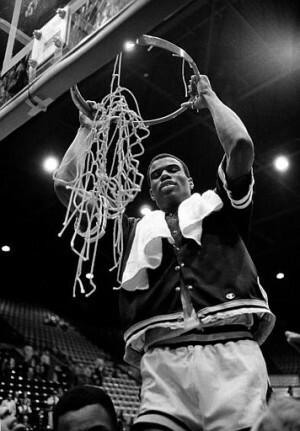 Following a record-setting career at the Naval Academy, David Robinson went on to earn two NBA championships, one NBA MVP, 10 all-star selections three Olympic medals (two gold, one bronze) and a bust in the Basketball Hall of Fame. He’s now added a Heisman. Not bad for a guy who never played college football. Staubach and Bellino fans, settle down — Robinson was named this year’s recipient of the Heisman Humanitarian award, given by the Heisman Trophy Trust to ” recognize and honor selfless athletes who continually give back to the community and seek to improve the lives of others,” according to the group’s website. Robinson’s community outreach began in 1991, when he offered $2,000 college scholarships to every fifth-grader from a San Antonio elementary school who went on to graduate high school, according to the Tuesday release announcing the Heisman honor. Seven years later, he broke his promise — instead of $2,000, he gave them each $8,000. 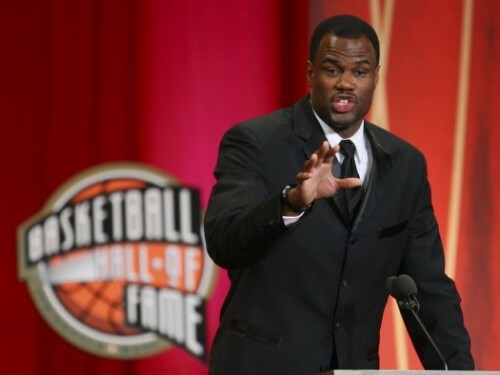 Under the banner of the David Robinson Foundation, “The Admiral” and wife Valerie helped found a high-performing school in San Antonio and continue a range of charity programs. Past winners include NASCAR champion Jeff Gordon (2012), NFL star Warrick Dunn (2010) and women’s soccer legend Mia Hamm (2009). Robinson will be honored Dec. 16 in New York at the Heisman group’s annual dinner gala. Robinson has more career points (2,669) and rebounds (1,314) than any Mid in school history, and is in no danger of being caught anytime soon in either category. He’s also the only Mid with three 500-point seasons, which happen to be the three highest-scoring seasons in school history. He took Navy to the Elite Eight in 1986 — catch a quick video of that team’s 2011 reunion in Annapolis here.